Home / Crafting Tips / Is Mod Podge Waterproof? Find Out Here! 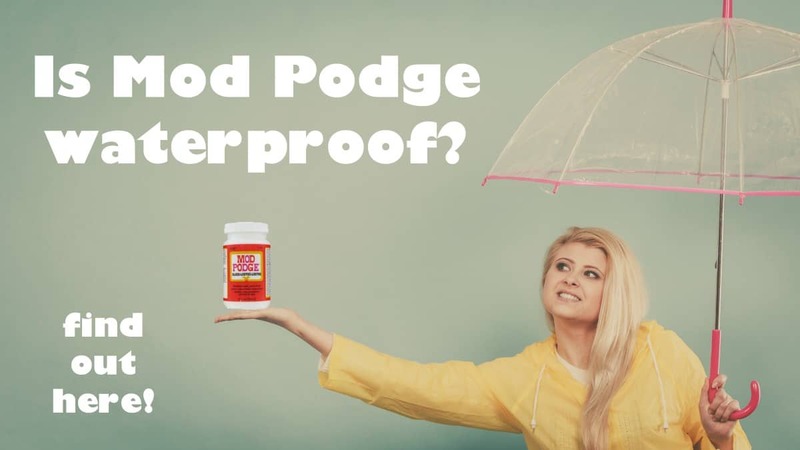 I run a Mod Podge blog and get asked all the time, “Is Mod Podge waterproof?” Find the answer here, with more details (and solutions). Hello! If you're joining me to get the quick answer to the question “Is Mod Podge waterproof?” then I'd like to let you know right away: NO. Of course there is a more detailed answer, but I figured that some of you will want to know immediately and run, so there it is. Typically someone might be making coasters for a gift and are interested in how to make the coasters waterproof as well as heat resistant. Which would be expected since coasters are exposed to water from glasses as well as extreme heat from hot beverages. There are many other projects that crafters are interested in making waterproof (besides coasters) such as garden items or anything that might be outside on a porch or patio. Kids' tables and dressers are another common theme based on the fact that kids can be rough on stuff and also so many spills. So now let's answer the question you're all wondering in more detail: Is Mod Podge waterproof? As I said before, no, Mod Podge is not waterproof. The longer answer has to do with the makeup of the product. Mod Podge is a craft supply made up of several ingredients, including vinyl acetate. The combination produces a product that is somewhat water resistant, but not waterproof. If a few drops of water end up on your Mod Podge project you can wipe them away with ease. You aren't going to ruin your craft with just a little bit of water. The issue is when something that is Mod Podged is exposed to a lot of water. The product is not “built” for submerging or exposure to water over a long period of time (and consistently). For example, you wouldn't want to put something only sealed with Mod Podge in your shower. This is true for Mod Podge as well as all other decoupage mediums. Note: if water is on your Mod Podge project for an extended period of time, you might notice some clouding. Typically when you remove the water the Mod Podge will slowly dry to clear again. However, you might see some permanent cloudiness and/or rings. What about Outdoor Mod Podge? You can learn more about Mod Podge Outdoor here. As I mention in that article, Mod Podge Outdoor is not waterproof. It is HIGHLY water resistant (more so than regular Podge). This means that if you want a decoupage item to sit on a covered porch where it is not exposed to weather 24 hours a day, you are fine using this formula by itself. HOWEVER – if you live in Seattle and your project is constantly rained on, or you live in Arizona and the sun is beating down on your craft all the time, I suggest another sealer that is waterpoof and/or UV resistant on top. What about Dishwasher Safe Mod Podge? You can learn more about Dishwasher Safe Mod Podge here. It is very highly water resistant (top rack, dishwasher safe) but even that formula isn't completely waterproof. This version of Mod Podge is highly durable, and perfect for using with mugs or placemats or something that will be exposed to water but not for a long period of time. People make glitter mugs all the time with this medium and they last for a long time after repeated dishwasher runs. Is Mod Podge permanent (since it isn't waterproof)? Technically, no. BUT if you Mod Podge a piece of paper to wood, it's not going to come off without some serious work. You'd have to peel the paper off, or sand it off, or leave water on it for an extended period of time (which would probably end up ruining the wood too!). Mod Podge comes off of glass more easily than other surfaces, and soaking typically works to remove it. For my purposes, and in my crafts, Mod Podge is pretty permanent. I've seen 50 year old projects from the creator of Mod Podge (Jan Wetstone) that are still going strong. So while I can't *technically* say the product is permanent, you're going to have a hard time removing it. Do you need to seal Mod Podge? No, you do not need to seal Mod Podge. It is a glue, sealer, and finish all in one. 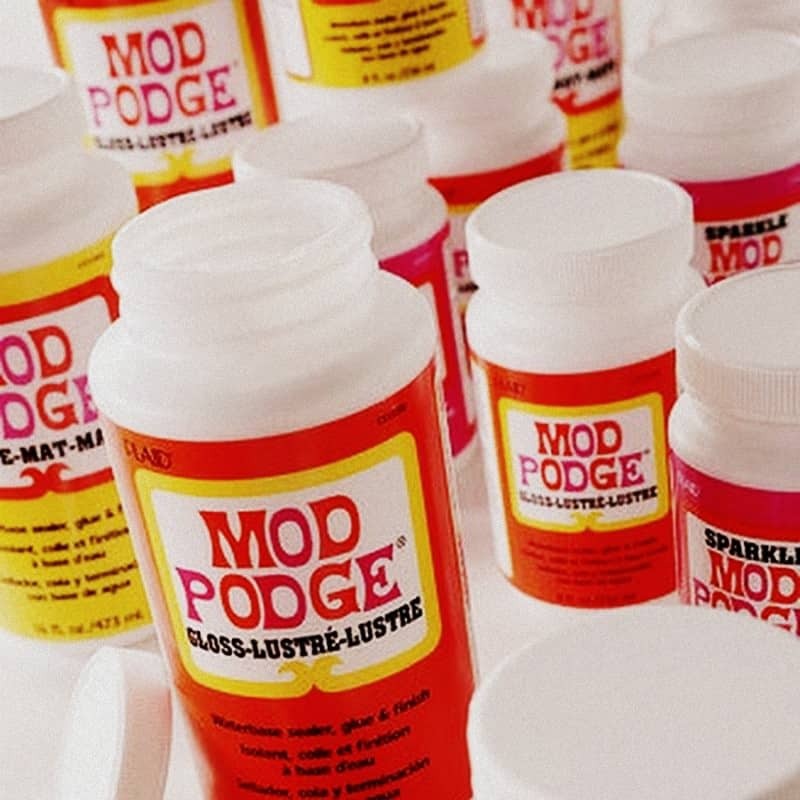 The Mod Podge Hard Coat in particular has very tough properties that make it suitable for sealing furniture. However, sometimes you need to break out the big guns and you want to make a project relatively waterproof! 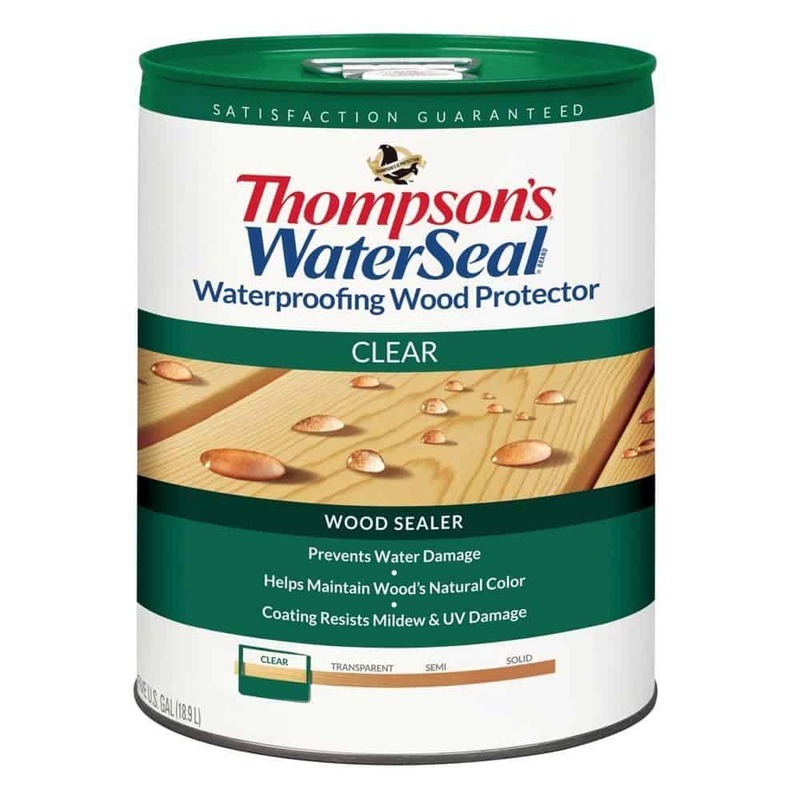 For those times, I recommend a product like Thompson's WaterSeal painted right over the top, after your decoupage project is completely dry. This doesn't mean you'll be able to submerge your project (I don't recommend ever submerging a decoupage craft), but it will be pretty close to waterproof in terms of be exposed to rain or other water on a regular basis. And while we're on the topic of sealing, let's get back to coasters. You can use something like Thompson's WaterSeal on coasters and it will be fine for most applications. Thompson's and Minwax Polycrylic are commonly used by Etsy sellers who sell coasters. The only issue is if your item is going to be exposed to extreme heat (like a trivet would be). Then you'll likely want to use a resin. Learn about Dimensional Magic vs resin here. Is Mod Podge waterproof? No. But it's highly water resistant and if you're looking for a tough decoupage medium, it's the one for you! Let me know your thoughts in the comments! Great post; very helpful. 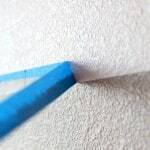 This post has given me ideas for better sealing my paper Crafts. Thank you. Thank you for such a great and informative article. Learned a lot???? I have seen the mod podge sealer in the store. I have not bought any but I was going to and seal my projects . But if want make it waterproof why should I buy it. I was going to buy some to put on some place mates that I wanted to make for my grandsons. Now I have no ideal how to make paper place mates for them. So that if they get them wet that they will come about the first time they spill something wet on them. So what do I do I am 73 and do not make some things for them to use that will fall a part the first time they get wet. My money will be used on your sealer for nothing so why should I buy it if it will not waterproof any thing I make for them. I thought a sealer was to make anything waterproof and I do want to make them things that they might get wet. 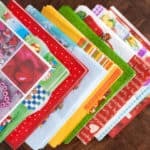 Linda – if you use Dishwasher Safe Mod Podge on the placemats, you should be fine. Just because they won’t be waterproof technically doesn’t mean they won’t be durable. Hi, I laminate anything I am doing for kids. Much easier. I have seen things mod podged on glasses and plates so how do you wash them if the thing you put on them comes off when you have to wash them. Thing do get dirty and it would be costly make my grandsons some pretty glasses that they can not use. They are kids that do not think of things just to put up to look at. They want to use them and get them dirty,wet too. So how do you clean a glass that you mod podged a picture on it for them to use to drink out of? Awesome information. I just watched a video where they marbled simple white coffee mugs from the dollar store with nail polish dripped into water. Then they sealed them with Mod Podge but they didn’t mention if you could wash them in a dishwasher or kitchen sink or if it would damage them to heat water in them in the microwave. I wanted some information on mod podge. Two points–it is neither waterproof nor permanent (though technically.) Thanks for delivering the correct and helpful information.